Looking forward to seeing what y’all come up with! Jan 14 respond to prompts from Chapters 6 & 7 and Unit G from About the Authors and a response to a prompt about the Common Core standards. Jan 15: create a writing activity for your partner to try out. Jan 16: try out your partner’s writing activity. Also Read: Chapter 7, which focuses on assessment; the authors offer a variety of ways to celebrate students’ smart work. I’m struck by how they use the workshop itself to capture students’ intentional thinking about writing that goes beyond what is on the page: they notice students thinking about writing. I share the author’s goals: students should be making decisions about their writing more often than the teacher. To be a writer in the world means being able to think through choices in genre, structure, and to control the circulation and distribution of writing for the biggest impact on our intended audience. Writing is challenging: we need opportunities to work through those choices and challenges with lots of models and support, not simply templates for writing. Point to some take-aways from chapter 6, especially anything that seems confusing in terms of how you might plan out lessons for writing over time. Then, take one of the ideas for a focus study (from the chart on 105-106) and start to play with how you might develop a series of lessons or activities based on that idea. For example, what have you learned so far about how you might do a genre study or a study of an author or how to work with illustrations? What mentor texts might you use? What would you ask students to do? This can be really tentative and you might have more questions about how to develop a series of lessons or activities than answers for how to do it, and that’s fine too. What research or next steps would you need to do to be able to write about your plans for students? What would you return to from About the Authors or other books we’ve read? If it’s helpful, think about what you might ask students to do over a one week period of time. Prompt for chapter 7: What can you imagine borrowing from chapter 7 as you think through assessment of your future students’ writing? How does their chapter perhaps change the way you think about assessment or how does it add some new ideas to your repertoire? What will you want to try out? What seems challenging still about assessment? How might you change some things for grades above 1st grade? Then write a response: What do you notice about the standards for your grade level choice? How would you incorporate some of the standards with ideas from About the Authors? Look back over your take aways from Chapter 7 on assessment and consider how you might blend their assessment suggestions with a couple of these standards. How will you use the Common Core standards in the design of your writing assignments? Create a writing activity for your partner to try out. You can even address your post to your partner: “Hey Lucy, check out the activity I have designed for you to try…” *Note: CHECK OUT THE EXAMPLES BELOW: this works really well to create the activity in Google Slides for your partner like Tamara’s below. Description of the writing activity: what will students do (i.e. what will your partner do)? Create an activity/prompt based on your mentor text (something based on the theme? Based on a structure or favorite line?). YOUR “student” should know what they are supposed to write, so do your best to make your goals and instructions clear for the student writer. What are the steps? What should they write about? **Here is another example from Ismael with Caleb’s response to his activity (*Note: you may need to be logged into G+ to see the link). Notice that Ismael also links to a Google Doc for Caleb. And just to reiterate: you have a partner. You will each create your own writing activity (using the prompts above) for your partner to try out. So, you will play the part of both teacher (Jan 15) and student (Jan 16). You create an activity as the teacher for your partner to try out as your student; and your partner will create an activity for you to try out as the student. Your “teacher” assignment (above) is due today, Jan 15, for both of you. 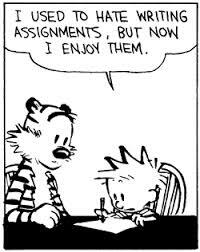 Your responses–you trying out each other’s assignments/activities–is due tomorrow, Jan 16.